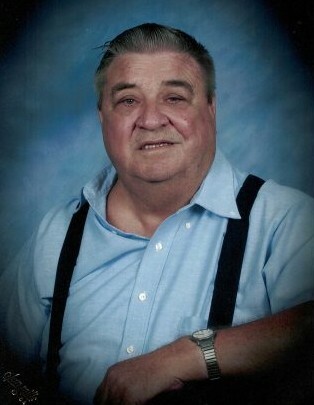 Ronald Frederick Vorpe Sr., age 82, of Jacksonville, Florida, passed away Tuesday, April 9, 2019, at his home surrounded by his loving family. Ronald was born in Harrisburg, Pennsylvania, the son of the late Walter Leland and Elizabeth Laura [Applegarth] Vorpe and has lived in Jacksonville for the past 77 years. He was a loving husband, father, grand and great grandfather who working on race cars, and watching NASCAR and Pro wrestling on tv. He was preceded in death by his parents, his brothers, Walter, Jack and Henry Vorpe, sister, Donna Vinson. Survivors include his caring wife of 53 years, Joyce Vorpe, Jacksonville, FL; son, Ronald Vorpe Jr., Jacksonville, FL; daughters, Pamela Black (David), Melrose, FL and Debbie Liner (Scott), St. Johns, FL; brother, Robert “Bucky” Vorpe (Marie), Jacksonville, FL; sister in law, Peggy Vorpe and Evelyn Harding; brother in law, Ray Vinson; 4 grandchildren, Dustina, Cody, Claudia, and Jillian; 2 great grandchildren, Emmett and Oakland; and many cousins, nieces, nephews & dear friends.